Make the most of your fundraising by adding a personal story and branding images to your fundraiser. 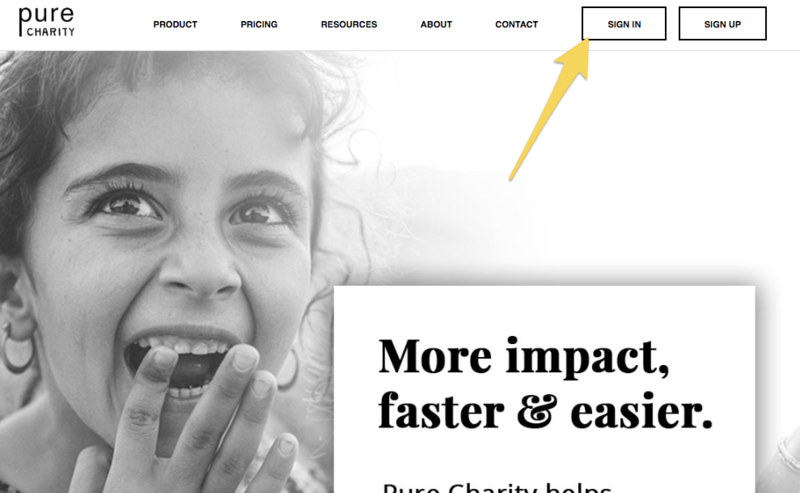 Step 2: From your user dashboard, select the logo of your nonprofit under the "Managed Field Partners" section. This will direct you to your Field Partner dashboard. Step 3: From your Field Partner dashboard select "Fundraisers" in the left-hand menu, then select the name of your specific fundraiser to be directed to your Fundraiser dashboard. 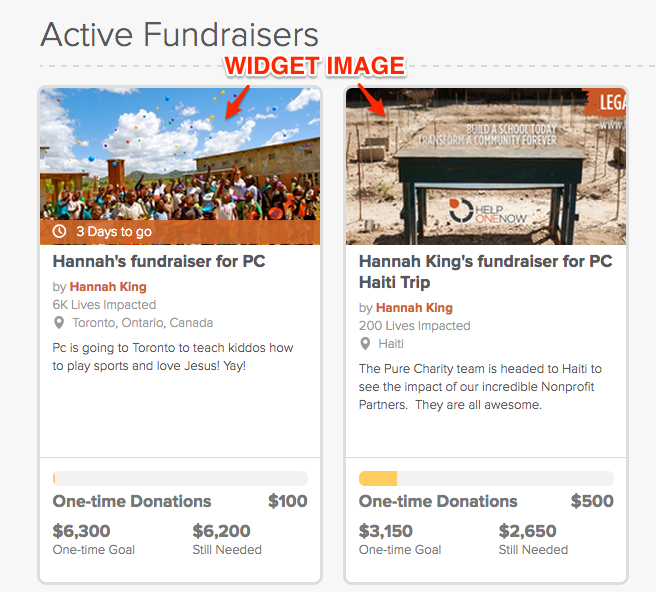 Step 4: From your Fundraiser dashboard, select "Profile" in the left-hand menu. You will be automatically directed to your where you can 'Edit Basic Information'. FUNDRAISER INFORMATION > Editing your fundraiser information allows you to edit the fundraiser name, fundraiser URL, choose an end date, and choose a fundraiser organizer. FUNDRAISER BRANDING > Updating your fundraiser branding allows you to provide a seamless user experience by providing the same look at and feel as all of your other marketing materials. 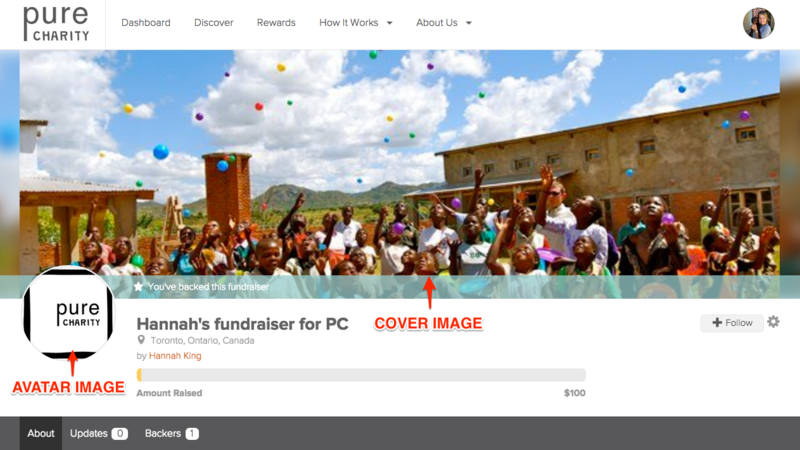 First, let's look at the different types of images we use on a fundraiser. We have an avatar image, a cover image and a widget image. These pictures can be uploaded right from your computer! To make sure your images look their best, use our sizing suggestions for each image listed below. Now, we are ready to upload photos! Simply select "Upload" in the specific image type that you would like to upload a photo to. If you don't like it, then simply hit the X in the corner to remove it. PERSONALIZING YOUR FUNDRAISER STORY > Editing your fundraiser story allows you to tell your fundraising story better! Fundraiser personalization is a great way to connect with people and let them know exactly why you are fundraising and how they can be apart of it. If you want to add pictures or video to your fundraising story, then check out this article. if you have additional questions, please contact us at help@purecharity.com. What information do I need to create a sponsorship program? How do I edit My Fundraising Story?